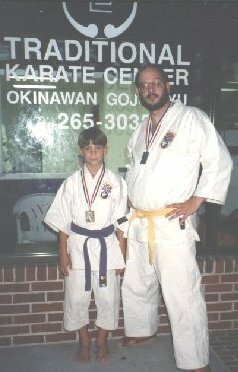 This is a picture of Cody and me outside the dojo. He talked me into trying it, because I needed to lose some weight. I did lose some weight. Me at one of the USAKF Championships. 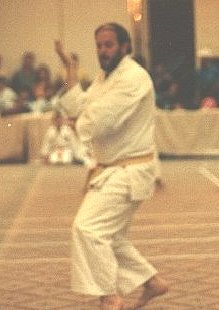 My friend, Jesse Vargas beat me out of first place at the National Championship, by, of all things, doing a better kata. Hmmm... Great job Jesse.